Sit and rest in the soil. Ground your feet in its moisture. Allow your feet to dig into nature’s peace. Feel the soil in your palm, feel its natural stillness. Watch as each chunk of soil crumbles in your hand then back on the ground. Hear your breath sync with the natural rhythm of the air. Each in and out breath recycled. Sit and rest on the soil. Notice your position to the trees above you. Notice how to be. Notice the enlightened realness of simply existing. Rest in the roots of nature’s natural medicine. Feel the peace radiate out of the earth. 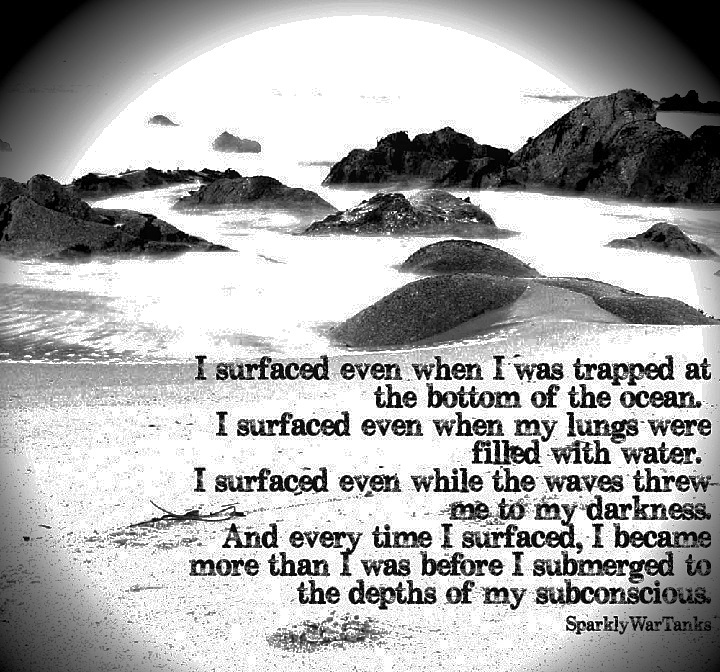 Surface even at your lowest point. Surface when everything is caving in. Surface because there is no where to go but up, toward the surface. Where power is, and opportunity. Go to where there is healing.